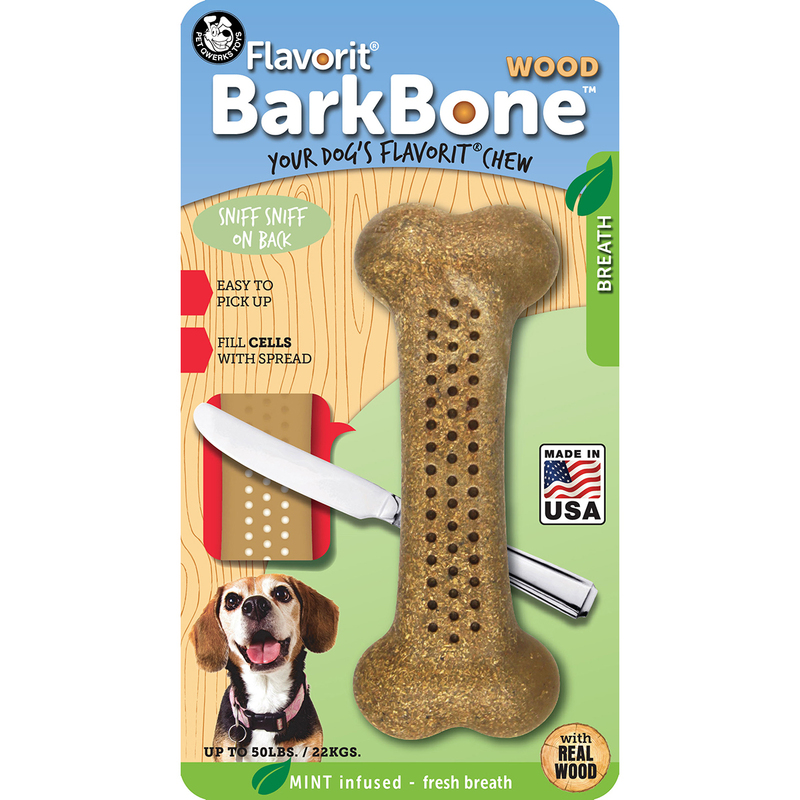 A Fun Bone With Real Wood Designed For Moderate Chewers. The Mint Flavor Helps To Curb Bad Breath. The Treat Cells Can Be Filled With Any Spreadable Treat The Dog Prefers. It Encourages Healthy Chewing, Massages The Gums And Cleans The Teeth. This Package Contains One 5.75X2 Inch Bone. Made In Usa.